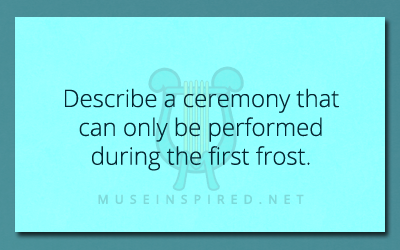 Cultivating Cultures – Describe a ceremony that can only be performed during the first frost. Cultivating Cultures - What are the traditions for marriage in your society? Cultivating Cultures - How is the army organized for your country?